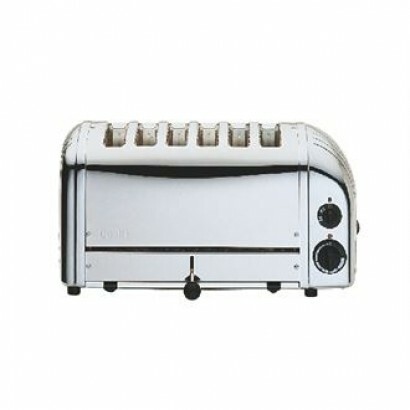 Picking the right commercial toaster can be hard if you're unsure what you need. 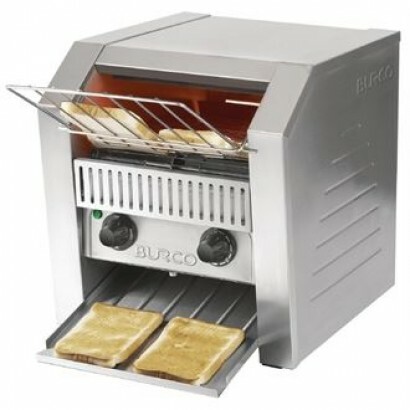 We have two different types of commercial toaster in our range, pop-up toasters and conveyor toasters. 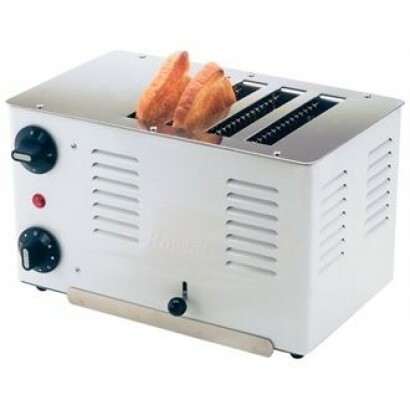 Pop-up toasters are great for bread and bagels but if you're going to be toasting speciality bread then a pop-up toaster isn't for you. 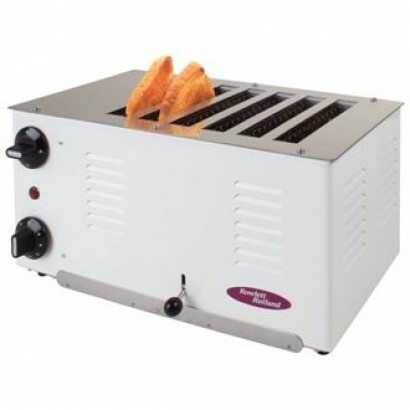 Pop-up toasters can toast anywhere between 50 and 400 slices per hour, depending on how many slots your toaster has and what kind of bread you are toasting. 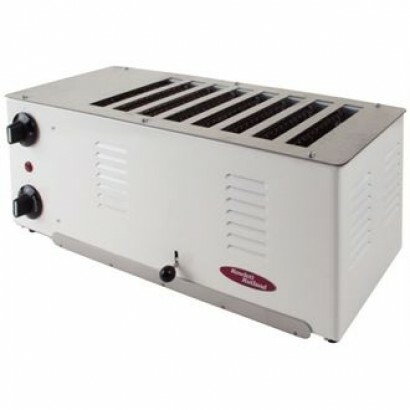 These commercial pop-up toasters work the same as domestic toasters but are of a higher quality, larger and with more features. Pop-up toasters are the perfect solution for small cafes, coffee shops and other small commercial operations. 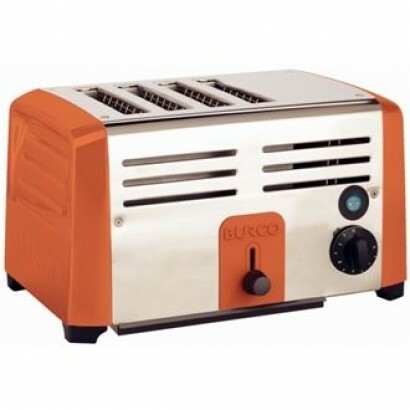 We have pop-up toasters that have between 4 and 12 slots allowing you to choose the right commercial toaster for your output needs. 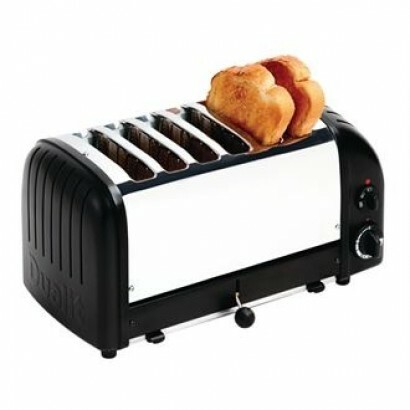 Conveyor toasters are for all types of bread, if you can fit it on the conveyor belt you can toast it. You should expect around 360 slices per hour for conveyor toasters, again this depends on what kind of bread you are toasting, bagels and speciality breads will take longer than standard sliced white bread. Conveyor toasters work by loading bread in the front of the unit which is then drawn back in to the heating chamber using a conveyor belt. Here the bread is toasted by heating elements located above and below the belt. It then falls down a slanted chute into the collection area. You can change the speed of the conveyor belt for different levels of toasting. 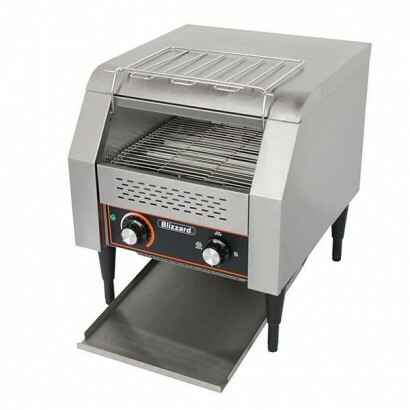 If you operate a breakfast buffet, catering busines or a busy restaurant this commercial toaster is the way to go. 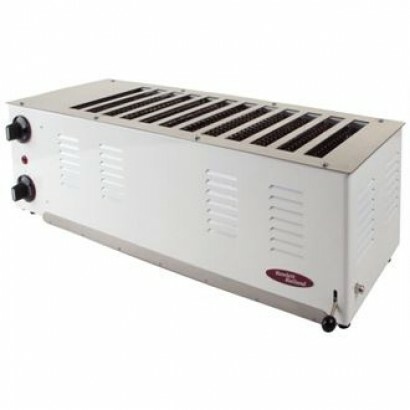 Our range of commercial toasters includes pop-up toasters with between 4 and 12 slots and conveyor toasters for higher demanding catering operations. If you need more information or are looking for a specific commercial toaster give us a call on 0161 442 9174 and speak to an expert today. 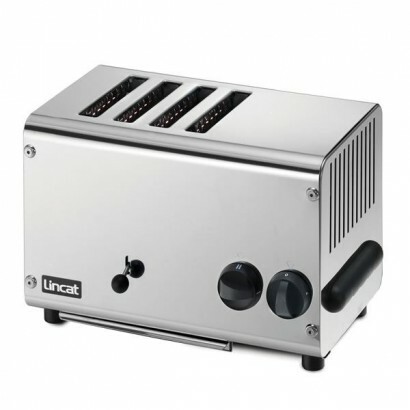 Lincat 4 slot catering toaster with scissor lift mechanism to stop toast getting jammed. 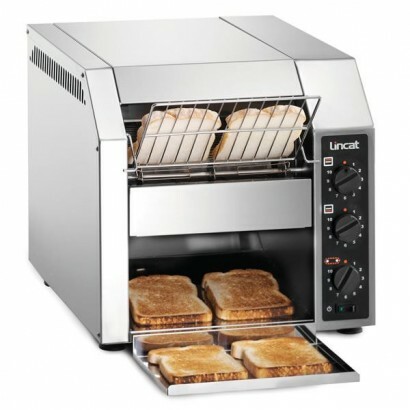 Fewer slots..
Lincat LT6X 6 slot catering toaster with scissor lift mechanism to stop toast getting jammed. Fewer .. 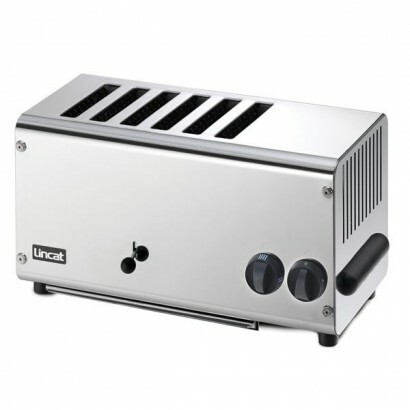 Product Information External Dimensions: H 425 x W 365 x D 420mm Standard Warranty: 1 Year P..
Lincat CT1 conveyor toaster ideal for breakfast buffets, producing a high turn over of toast, up to ..